Avianca or also known as Aerovías del Continente Americano in Spanish, is the national airline carrier of Colombia. Founded in 1919, it is the second oldest airline in the world after KLM. 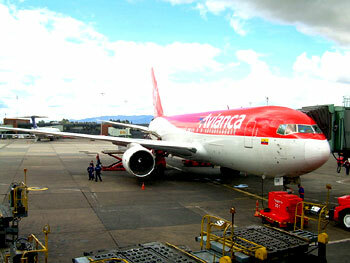 Avianca operates from its main hub in El Dorado International Airport and owned by Synergy Group Corp with headquarters in Bogotá, Colombia. The Colombian airline company operates scheduled domestic and international flight services to cities in North America, Europe, Central America, the Caribbean and South America. Subsidiary airlines of Avianca are SAM and Helicol in Colombia, VIP which is based in Ecuador, Brazil's OceanAir and Capital Airlines in Nigeria. There are three main business entities in Avianca. 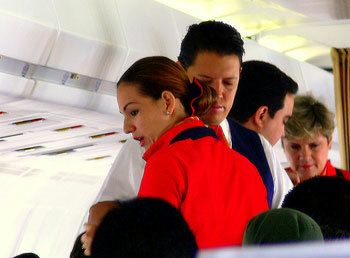 They are namely Avianca Cargo (Deprisa), Avianca Services and DesKubra, which is a tour operator. Avianca Cargo is a cargo based airline with freight services operating from its hub at El Dorado International Airport in Bogotá, Colombia. In the year 2007, Avianca won the title of South America's Leading Airline, Business Class and Website in the 14th World Travel Awards. It's subsidiary OceanAir also won the South America's leading budget airline award. Some of these aircraft are meant for long haul international flights while the others served only medium and short haul domestic flights. Avianca Flights To Airports Worldwide.